A secular constitution that everyone in Sri Lanka can subscribe to, and feel a sense of belonging in; regardless of their ethnic origin or religious convictions or lack of thereof; is a big step towards the correct direction. WE NEED YOU — YOU NEED US. Join our discussions and voice your views -help foster a culture of Science and Secularism in Sri Lanka. Subscribe to our mailing list to receive new articles, join discussions with members and stay connected with other Secular Sri Lankans. Join us on Facebook Discussions and Follow Us on Twitter. Authors' Forum: If you plan to send an article, please request to join our mailing list for authors, bloggers and journalists. 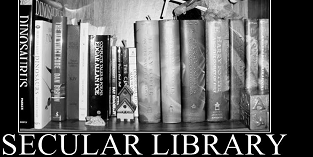 • Sign in and apply for authors' list membership or contact the list administrator. Best way to join this list is to participate in the discussions in Facebook or our Discussion Forum and interact with other authors and contributors. Find More lectures in Sinhala... | සිංහලෙන් තවත් දේශන..
A political and legal doctrine that government and religious institutions are to be kept separate and independent from each other. The term most often refers to the combination of two principles: secularity of government and freedom of religious exercise. Current legal standing of our Republic of Sri Lanka includes constitutionally protected preferences for Buddhism, which provides a specific clause "The Republic of Sri Lanka shall give to Buddhism the foremost place and accordingly it shall be the duty of the State to protect and foster the Buddha Sasana". It also allows unacceptable government engagement in other religions for political advantage. This clause allows a provision for unjust government interference on personal Freedom of our citizens due to establishment of laws providing legal protection for Buddhism and specific other religions through various branches of government. Governments participate in religion violating fundamental rights, tax payer money, enforces mandatory requirements of religious indoctrination inside public schools system. This also nourishes a religiously and ethnically devided political landscape where politicians of both government and opposition directly use religion at official business level. Such constitutional provisions lead to religiously motivated legislative restrictions on Freedom of Speech of our citizens and restrain several other Fundamental Rights. මුස්ලිම් හෝ, ක්‍රිස්තියානි හෝ, හින්දු හෝ, බෞද්ධ හෝ වන අන්තවාදින්, ඔවුන්ගේ අන්තවාදී මානසිකත්වයෙන් මුදවාගෙන, සමාජයේ ප්‍රධාන ප්‍රවාහයට එකතුකරගෙන, ඔවුන් රටෙ සුබසිද්දිය සඳහාවන වැඩකටයුතු වලට හවුල් කොට ගැනීමට නම් සමාජය තුල පවතින ප්‍රධාන ප්‍රවාහය ලෞකික (secular)‍ විය යුතුය. සංවර්ධනය කරා සීග්‍රයෙන් ගමන් කරන සියලු රටවල රාජ්‍යත්වය සහ ප්‍රධාන සමාජ ධාරාව ලෞකික වේ. අභ්‍යන්තර ආරවුල් වල පැටලී අසමත් රාජ්‍ය (failed state) බවට පත්වන බොහෝ රටවල ප්‍රධාන ප්‍රශ්නය නම් ආගමික-සංස්කෘතික අධිපතිවාදි ප්‍රධාන ප්‍රවාහයයි.1972 ව්‍යවස්ථාවෙන් මෙරට ඒකීය රාජ්‍යය බුද්ධාගමට ප්‍රමූබස්ථානය දෙමින් බුද්ධාගම ආරක්ෂා කිරීම සඳහා රජය බැඳී සිටින බව පිළිගැනිණි. 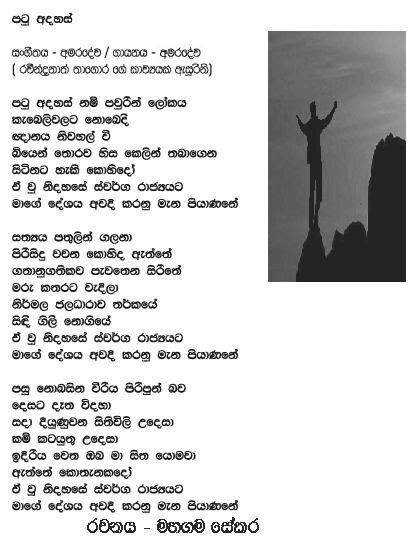 ලෞකික ප්‍රධාන ප්‍රවාහයක් (secular mainstream) ඇතිකිරීමට රාජ්‍යයේ කැපවීම මෙමගින් ඉවත් කර දැමින. මෙම කරුන පාදක කොටගෙන අනෙකුත් සුලුතර ආගම්ද සිය මතවාද හා නොයෙකුත් ආගමික අවශ්‍යතා සඳහා රජයේ බර යෙදවීම අවශ්‍ය බව සිතති. සිය මතවාද වලටද සමතැන හෝ අඩුගනනේ නිසිතැන නොලැඹිම ගැන මැවිසිලි නගති. දෙශපාලකයන් මෙම මැසිවිලි සහගත වාතවරනය ඡන්ද ලබගැනීමේ උපක්‍රමයක් ලෙස දිගු කලක සිට භාවිතා කරති (භේද කොට පාලනය කිරීම - divide and conquer) දේශපාලඥයින් විසින් ආගම් අයුතුලෙස පාවිචිකිරීම වැලැක්වීමේ කාලය පැමිණ ඇත. ආගම් ලැදි පුදගලයන්ට නිදහසේ ඔවුන්ගේ ආගමිකත්වය පෞද්ගලිකව පවත්වාගනීමට හා පොදු නීතිය, රාජ්‍ය ප්‍රතිපත්ති, සංවර්ධන කටයුතු ආගමික බලපෑමෙන් තොරව ලෞකික පදනමකින් ඉදිරියට යාමට, ආගමිකකරණයට යටපත් නොවූ ලෞකික ආණ්ඩුක්‍රම ව්‍යවස්ථාවක් ඇති, ප්‍රජාතන්ත්‍රවාදී ජනරජයක් ගොඩනැගීම අපේ අරමුනයි. Our membership is open and all are welcome, religious as well as non-religious, atheists, agnostics, freethinkers, secularists, skeptics, humanists, and individuals who are questioning and searching beliefs with open mind. We campaign for a Secular Sri Lanka, moving forward with an amended Secular Constitution, promoting Science and Reason as the central doctrine in democratic governance. Religion should be strictly a private matter of Sri Lanka's citizens, and The Republic needs strict separation from religion to foster freedom for religion and freedom from religion. We encourage and promote a much needed dialogue for a constitutional amendment to separate religion from Sri Lankan State. The ideological differences that we have within us is an encouragement as long as we agree on the common goal of secularization of Sri Lankan public affairs. We should never stop challenging our own views. If we don't do that, as a nation we would become close-minded ourselves. If everyone here thinks the same it would be uninteresting, and moreover it would be a formula for stagnation as we would become more and more self-centered, and would become oblivious to the real challenges ahead of us in achieving our goals. Those who disagree with us that Sri Lanka is not going to be benefited by secularization; if you are honest about your opinion, then we have one thing in common; we all like to make Sri Lanka a better place. You can still join our group. We can discuss, debate or agree to disagree with each other. However, we don't have to undermine each other with false allegations. We just agree on ends, but only disagree on means to get there. Our goal is to foster a Secular Society based on science, reason, freedom of inquiry, and humanist values. We do not encourage partisan politics in these discussions, or allow race or ethnicity based division, ethnic recognition or identification of ourselves or other Sri Lankans, and consider these ethnic identities are completely outdated and irrational divisions for a modern, progressive and forward looking Sri Lanka. We encourage both majority and minority participation based on traditional divisions still exist in our society, and highlight the need to campaign for the equal rights, equal opportunity, affirmative action and freedom for the underrepresented groups living in a free and democratic Sri Lanka. We do not in any form support ethnic politics or ethnically divided political environment within Sri Lanka.